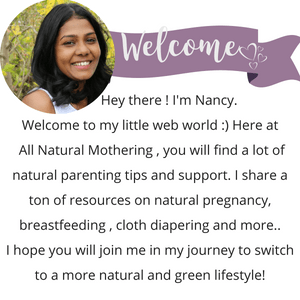 Pumping was not a small feat, especially after my second baby. I had a demanding toddler who needed constant attention, so I would recklessly leave my pumped milk to sit out. I would make lunch for him, load the laundry, change his diaper and finally notice my pumped milk sitting in the counter when I came back to reheat my coffee for the 5th time. It is incredibly heart wrenching to toss your milk in the drain after putting all your blood, sweat and tears into pumping. Thankfully, there is good news for us, forgetful mama’s. How long can breast milk sit out after Pumping? I always had trouble storing my breast milk safely right after I pumped. As I mentioned earlier I would get distracted with a million to- do things. If you are anything like me, and wondering if you need to throw your hard-earned pumped milk, behold, I bring you good news! Room temperature is generally around 60 to 77 degrees Fahrenheit ( 15 to 25 degrees Celsius). If your house is in a warm climatic condition or you tend to keep your home heated over the room temperature, then it’s around 3 – 4 hours. Same holds if you are out and about or traveling. Anytime pumped breast milk is exposed to higher temperature, the shelf life decreases. If you know, you will be pumping and will be out longer, bring a cooler along with you to save your precious liquid gold. Similarly, keep a cooler bag with you if you don’t want to make trips to the fridge if you are pumping multiple times during the night. The best way to store breast milk right after pumping is to throw them in a refrigerator or to freeze them. Ideally, it is better to store the breast milk in your fridge, freezer or a deep freezer within the first 3 hours. If you have pumped under sanitary conditions, i.e., after washing hands with soap, after cleaning all the pump parts, breast milk can remain good upto six hours. According to Mayo clinic, freshly pumped milk can stay good in the ice pack or cooler for 24 hours. You can then move it to the fridge or freezer,if you wish or give to your baby after re-heating. Did you know that you can store your freshly pumped milk in the fridge for 3- 5 days. Assuming that you pumped your milk and packed it in the storage bags vigilantly, you can reuse the milk within five days. You need to make sure that you store it in the coolest place in your fridge, i.e., on the back side of your refrigerator. Also, remember to remove the breast milk immediately when there is a power shortage and use it immediately or within an hour. You should note that the rules are different when it comes to leaving refrigerated breast milk to stay out. You do not have a safe six-hour window to keep it at room temperature like the freshly pumped milk. It also depends on how long your milk was in the fridge. If it’s been sitting in the fridge for almost five days ( nearing the maximum of how long milk can stay good in the fridge) then it has more chances of getting spoilt if left out longer. Since there is no guarantee of breast milk staying good after returning to normal room temperature, it is best to take the breast milk out of fridge only when you are ready to feed the baby. The best way to store breast milk for a more extended period is to freeze breast milk in the regular freezer or the deep freeze. A deep freezer is perfect if you are planning to build a breast milk stash from day 1. Breast milk remains safe up to 6 months in the regular freezer and up to 9 -12 months in the deep freezer. Again, you should store at the back of the freezer, where it is the coldest and not near the door. Frozen milk is better to deal with than refrigerated ones. It gives you more to consume or store in the fridge. Frozen milk can be tossed in the fridge, and it can stay there for up to 24 hours. You can, therefore, safely thaw frozen milk bags in the refrigerator. Once the milk is out of the fridge, fully thaw and returns to the room temperature, it is advised to serve it to the baby immediately. The same rule of the length of the storage period applied here too, the longer the milk has been stored, the faster it needs to be consumed. You must have heard this a million times, but it is worth mentioning: NEVER, re-freeze thawed frozen milk. 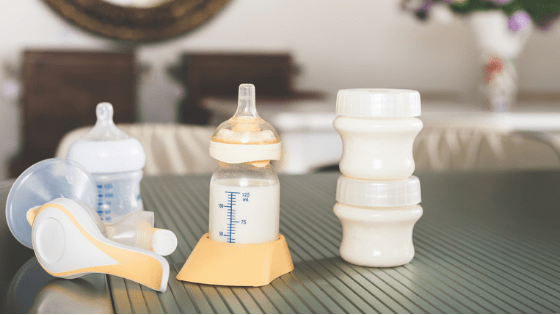 It is indeed good to know the various breast milk storage guidelines , so that you can store your precious breast milk safe without wasting it. Let’s conclude with a gist of how long can breast milk sit out before going bad. Freshly Pumped Milk: Stays safe at room temperature for 4 – 6 hours. Ideally, you should either put it in the fridge or freeze it. Ice Cooler: You can store freshly pumped milk in ice bags or cooler for up to 24 hours. Refrigerator: Fresh Breast milk can be stored in the fridge for 3 – 5 days. It is best to take breast milk out of the refrigerator, only when you are ready to serve it to the baby. Freezer: Pumped breast milk stays safe in the freezer up to 6 months and in a deep freezer for 9 – 12 months. Although it can stay good in the deep freezer for up to 12 months, experts recommend it to freeze only until nine months, because breast milk can change in composition and lose essential nutrients.